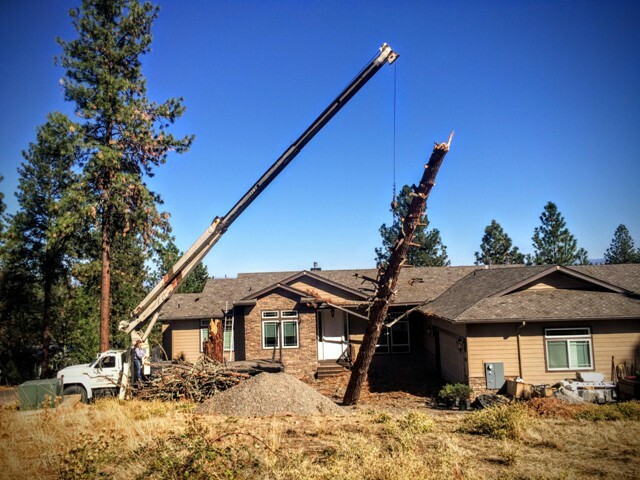 We work with arborist to safely transport those fallen trees and objects off your buildings, homes and vehicles. Did a windstorm knock down a tree, or structure causing damage? We can help! Our 14 ton boom truck and 45 ton crane will come to provide you with our safe and easy crane service! 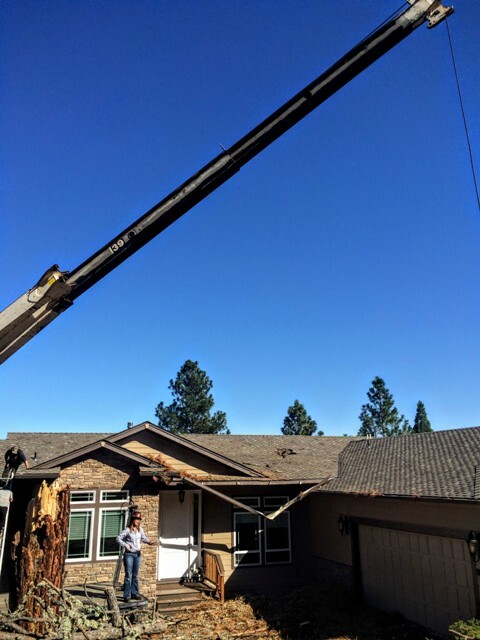 Our certified crane operators have years of experience and training providing you safe and efficient removal of trees and other items damaging properties. Trees are a part of the rich landscape and cultural heritage of Oregon. The Pacific Northwest offers an array of beautiful trees, which over time rot, fall or crack causing much damage to the surrounding buildings, properties and landscape. 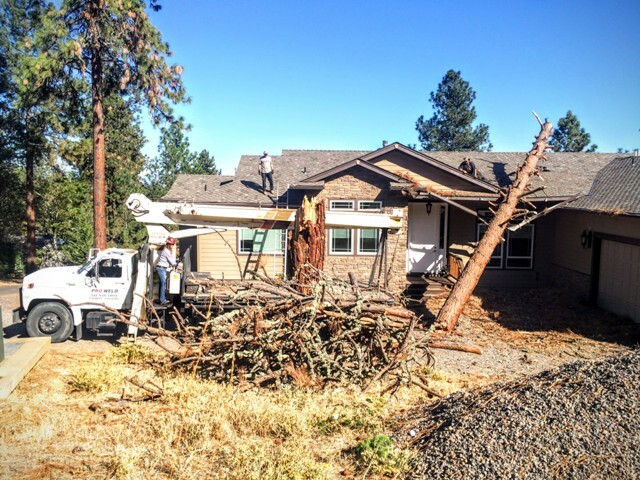 Pro Weld offers a way to easily lift the burden of removing trees from your property. 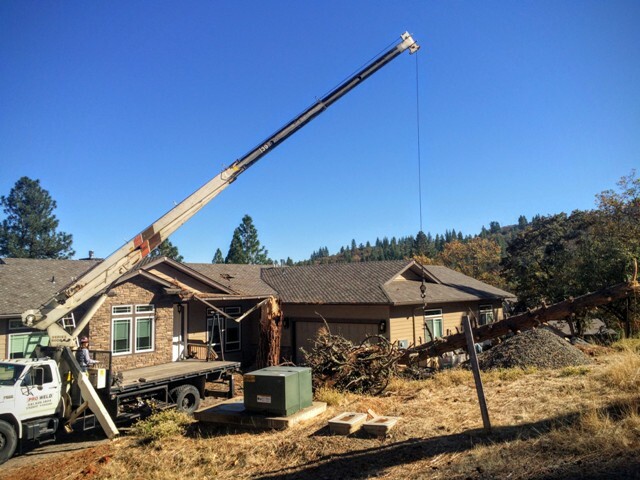 Our 14 ton boom truck, and 45 ton crane is what you need for removing large trees no matter the size. We work with your arborist of choice, to ensure safe crane lifts and boom truck operation safety. We do not offer pruning service, simply transporting obstructive items to the requested and designed area. 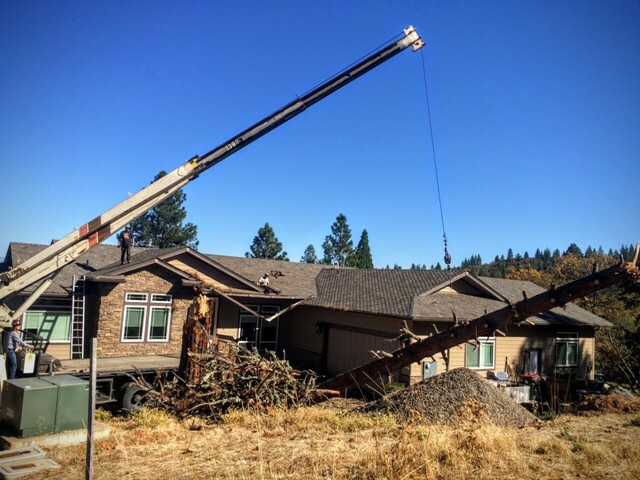 The easiest way to removing trees is with a boom truck or crane service. 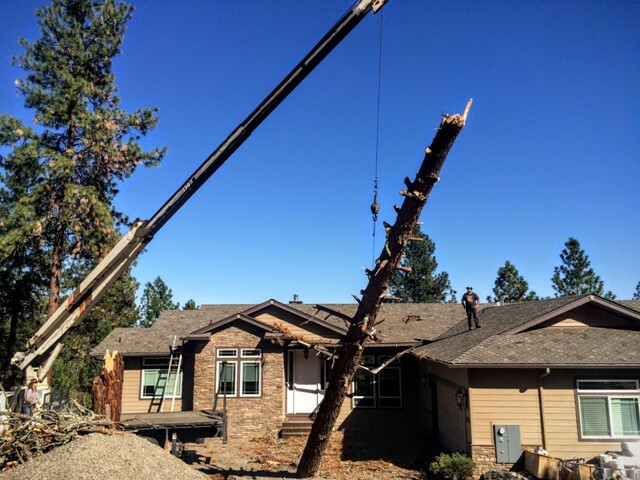 To Schedule Our Crane Service Tree Removal Call or Email Us Today! 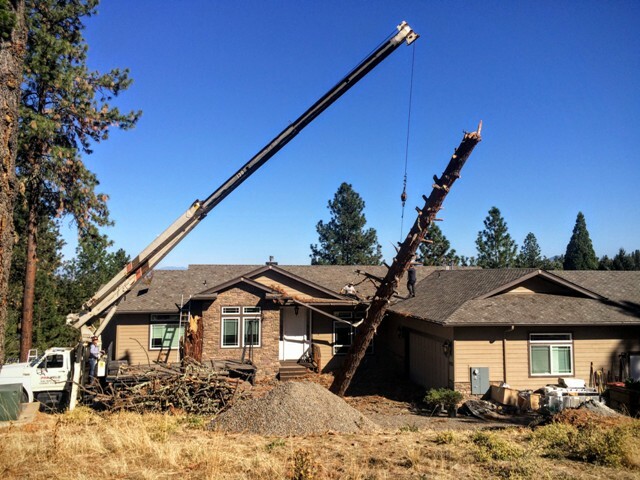 Note: Pro Weld’s tree removal crane service does not include haul trash, debris or trees, or tree stumps unless specifically requested. 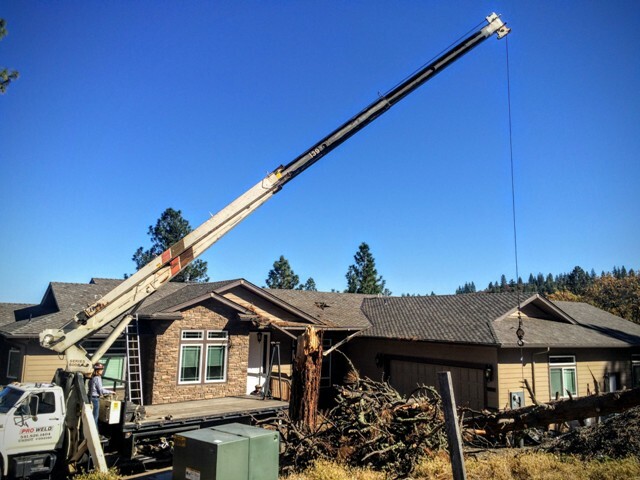 We provide the crane lift service with our heavy equipment removing the item which is damaging landscape, housing, buildings or other structure (items blocking roadways and streets). Removal of Oregon trees includes: Alder, Apple, Ash, Aspen, Basswood, Birch, Buckthorn, California-Laurel, Cedar, Cherry/Plum, Chestnut, Cottonwood, Cypress, Dogwood, Douglas-Fir, Elm, Fir, Hemlock, Holly, Juniper, Larch, Madrone, Maple, Oak, Oregon-Myrtle, Pine, Plum/Cherry, Redwood, Spruce, Sycamore, Willow and more.